A fence is considered as a very important part of the property as it can protect your property, privacy as well as help to keep your pet contained. Despite all the efforts that you put, there are chances that you will come across at least one issue in your fence in your lifetime. The structure of the fence is exposed to a lot of elements and hence all kind of fence is quite susceptible to the damage. If you are living in Frisco, then a reputed Frisco Fence company can very well help you to deal with it quite efficiently. So, if you face any kind of fence related issue, then it is recommended that you get in touch with a professional roofing organization such as Frisco Roofing Pro Company who will help you out to figure all the problems that you might be having. When it comes to roofing solutions; people normally do not think about it often. Do not wait for water to seep in through the ceiling in order to replace your roof. Look out for obvious signs of damage and decide accordingly. Sometimes the signs can be quite obvious; but at times you may be in a fix and may not understand what it is trying to tell you. For all your needs relating to roof repair and installation, FriscoRoofingPro has you covered. 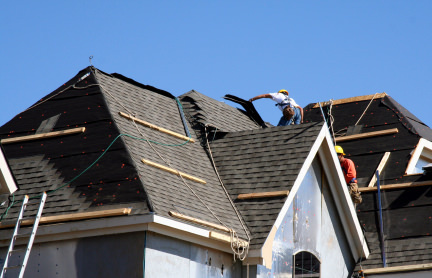 If your roof needs repair, you would obviously want services of the best roofing contractor. Although it is a daunting task in itself, the success of a roofing project mainly depends on finding the right contractor. Knowing about the ideal qualities can help you find the best roofer. Proper Licensing – When it comes to a roofing contractor; what you should really consider is whether they have a proper license. In case a license is available, there is no problem. Licenses are not just a symbol of legitimacy; in fact it is also an assurance that all installations will confer to building codes.